In an interview for a book about his best roles, the Bengali thespian reveals his experience of working with the director who put him on the world map. Soumitra Chatterjee turns 82 on January 19. The renowned Bengali actor has worked with numerous filmmakers – among them Mrinal Sen, Tapan Sinha, Asit Sen, Ajoy Kar – but his most fruitful association was with Satyajit Ray. 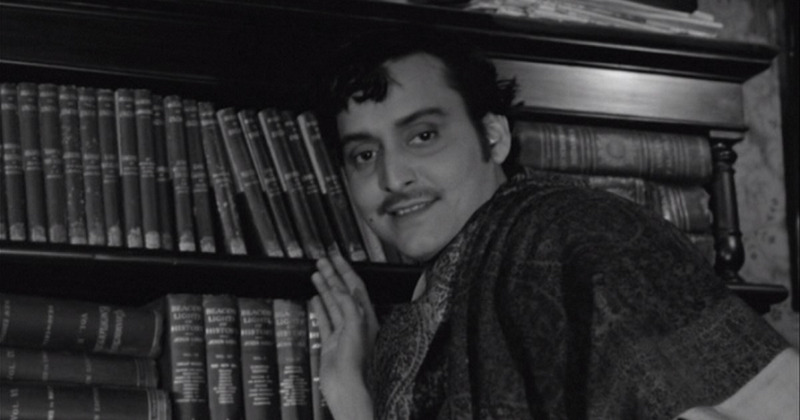 Chatterjee appeared in 14 of Ray’s films, starting with Apur Sansar in 1959. In edited excerpts from an interview with Amitiva Nag, Chatterjee discusses his association with the filmmaker who put him on the world map. How did you get associated with Satyajit Ray? That is a funny story. One day, one of my friends was coming to my house and I met him on the street. He started asking seemingly inconsequential questions like ‘Where are you going?’ (fully knowing that I was going to Coffee House), ‘What were you doing since morning’ and so on. While he was talking to me I could make out that he was signalling to someone on the other side of the street with his eyes. So I asked, ‘Who is that person?’ to which he replied, ‘He is Satyajit Ray’s assistant. They are looking for Apu for the sequel of Pather Panchali. Since you don’t hold Bengali cinema in particular esteem we are not sure if you will agree.’ So I told him that after Pather Panchali I could not have any questions on Satyajit Ray and we boarded a bus then and there and reached Mr Ray’s home. The moment I entered, he commented, ‘Oh, you are too grown up for the college-going Apu.’ It immediately struck me how engrossed he was in his work! Those were his first words to me. I can never forget that. After that I used to visit him occasionally. I realized later that he used to talk less and let others do the talking, which was his technique to find out the diction, the voice, the physical mannerisms of the person, he used to gauge the person in his mind. You worked in fourteen of his films. Why do you think he took you so consistently? Did he ever tell you anything? He never told me anything. But I think it may be because there was an understanding, our wavelengths matched. He probably knew that I had this hunger to portray different roles and was versatile as an actor. Also I was easy to mould and could break off from one particular image. That is why I was able to play the priest in Ashani Sanket, the detective Felu or the urban suave in Aranyer Din Ratri and so on – he probably thought that I could do justice to these widely different protagonists successfully. Maybe there was some convergence in our thoughts too. He was a rare genius, I am not close to him by any standards yet I guess there was some parity of thought – the legacy of the Bengali educated middle class, the legacy of Tagore. You may say there are and were many Bengalis who belonged to and shared the same legacy. It is true. But can you say that for any other Bengali actor apart from me? Probably not. Which are the Ray characters you wanted to do but he didn’t give you? Goopi (of Goopi Gyne Bagha Byne) is one. And he was correct, I wouldn’t have looked like a poor village farmer. I was supposed to do Kanchenjungha, but my dates clashed with some other film to which I had committed before and he had to take Arun Mukherjee. In his last film Agantuk I wanted to play the protagonist, but he didn’t give it to me. He said, ‘Your image will make the audience believe that this stranger cannot be anything but a nice, honest person. I want to have some suspense that’s why the person needs to have a certain unknown quantity, an element of menace.’ He took Utpal Dutt. Have you ever felt that the way you were branded Ray’s ‘one-man stock company’ came in the way of being recognized as an international actor? Also, Ray has been minimal in his praise for you. Not that I never felt that he could have spoken a bit more about me. But I guess he didn’t have the time and also may be he didn’t believe in all that. But the letter he gave to Cine Central when they held the retrospective ‘Teen doshoker Soumitra’ (Three decades of Soumitra) in 1990 is the ultimate tribute that I can expect: ‘I will have faith in Soumitra till the last day of my creative life.’ I cannot expect anything higher than this in my life. 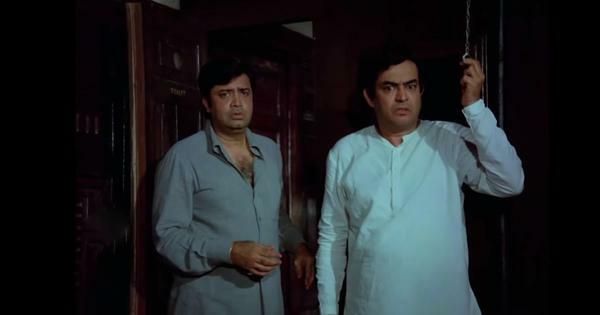 Excerpted with permission from Beyond Apu 20 Favourite Film Roles of Soumitra Chatterjee, Amitava Nag, Harper Collins India.